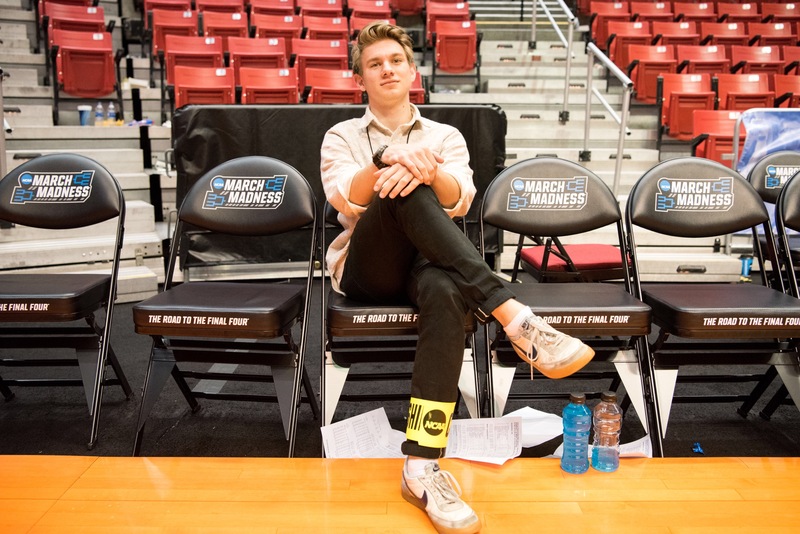 John Gannon Padgett ’18 always knew he wanted to end up somewhere big, bustling and vibrant. But as freshman Padgett walked along the Hayley concourse in 2014, New York City hadn’t been the expectation. A Birmingham native, Padgett was born and bred an Auburn fan, making at least one football game every year since he was old enough to crawl. Attending Auburn was fated; he couldn’t help falling in love for the loveliest village. 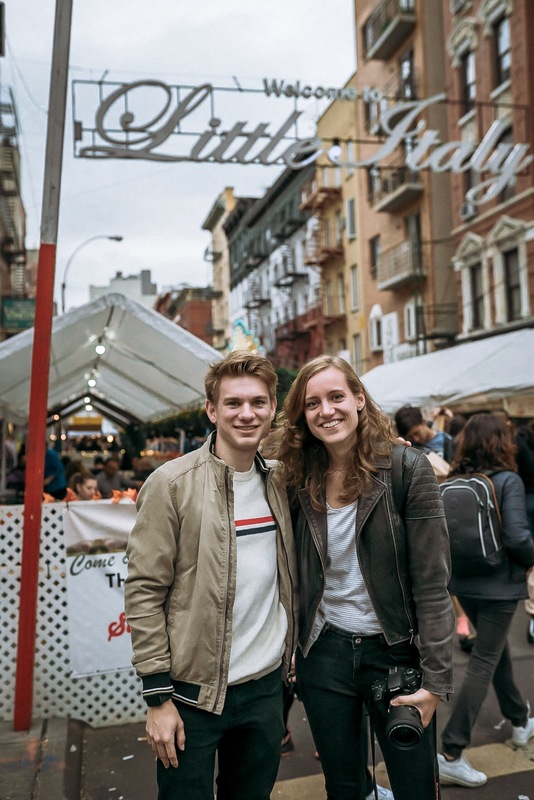 But after visiting a friend in New York City later in his undergraduate years, Padgett fell in love again, this time with the city that never sleeps. “As people do,” he says. Padgett pursued an economics degree, compelled by the challenge to utilize the necessary mathematical tools and discern when and how to use them to understand the world around him. The challenge paid off. After graduating with a Bachelor of Arts in Economics, fate took him north where he works as an actuarial analyst for the global consulting firm Mercer at its New York City branch projecting healthcare costs for clients and helping them find cost-effective solutions. What do you love most about your job at Mercer so far? It challenges me to think critically, which I appreciate. Day to day, I work with Excel with analytical models developed by our team. I also in the development of these models as well as present our findings to clients. It hasn’t been overwhelmingly stressful as I know many jobs in New York can get. It’s been a really good balance in the city. What’s your favorite part about living in New York City? Definitely the city’s diversity. Want great Greek food? It’s two blocks on your right. Thai food? Two blocks up. Italian culture celebration? Starts at 8. There is no shortage of new things to discover in this city. Somehow for the insane housing prices, most apartments don’t have central AC or sometimes AC at all. It’s very frustrating. What was the biggest culture shock you experienced moving from Auburn to NYC? I think stereotypically people would say the lack of “Southern Hospitality”, but I’ve always found people return kindness with kindness. And there’s Chick-fil-A here now, so that helps a lot, but I definitely didn’t expect the lack of air conditioning. That was shocking. Have you completed all the tourist traps? I’ve done all the touristy things, and some are certainly better than others – Times Square is very overrated. I’ve come up with a city guide basically and shown people around when they come visit. But as a local now, I love the area around the Lincoln Center. With all the gorgeous architecture of the performing arts center where they have the philharmonic, ballet, and movies, sometimes with a live orchestra playing the soundtrack, it’s actually really quiet there at night. It’s a good place to relax amidst New York’s craziness. 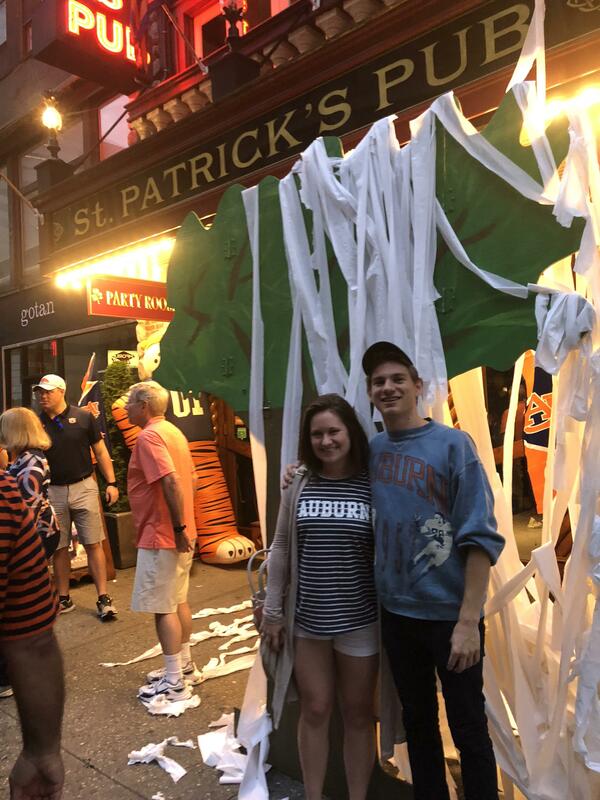 How did Auburn help you reach New York City? 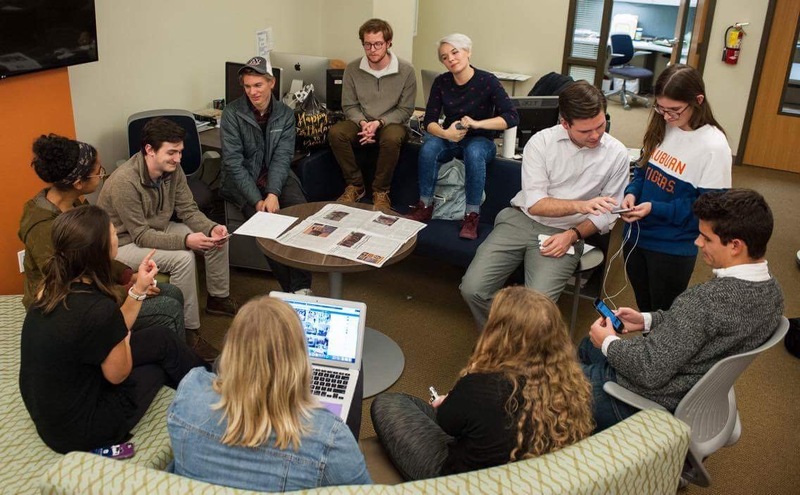 Through my classes, Auburn taught me to work hard and through the Plainsman to be creative, both of which (more of the latter than you’d expect) are invaluable to my job today. Several of my economics professors challenged me in the right ways and taught me how to approach problems analytically and critically. Dr. Seals, Dr. Beard, and Dr. Stern, in particular, were very helpful. With the transition from college to the professional world from college, have you noticed any differences within the economics field? Recently, there’s been a strong pushback against the field’s systemic sexism. Within my own firm, its prevalence hasn’t been striking, thankfully. But generally, around the people I follow in the field and even at Auburn, equal representation has been tricky. I think in part, it’s a self-perpetuating stereotype where it’s seen as a male dominated field so possibly less women apply and then it gets more male and so on. I think more outreach and initiative programs could be beneficial; it’s important to address these issues. Do you have a favorite Auburn tradition? The eagle circling the field before the game. I mean, come on. If you could do one Auburn cheer for the rest of your life, which would it be? Where was your favorite place to spend time at Auburn? Saturdays on the Jordan-Hare sidelines in the fall and courtside in the Auburn Arena in the spring. Do you have any memories from your time at Auburn that you pull on when people ask about your Auburn experience? 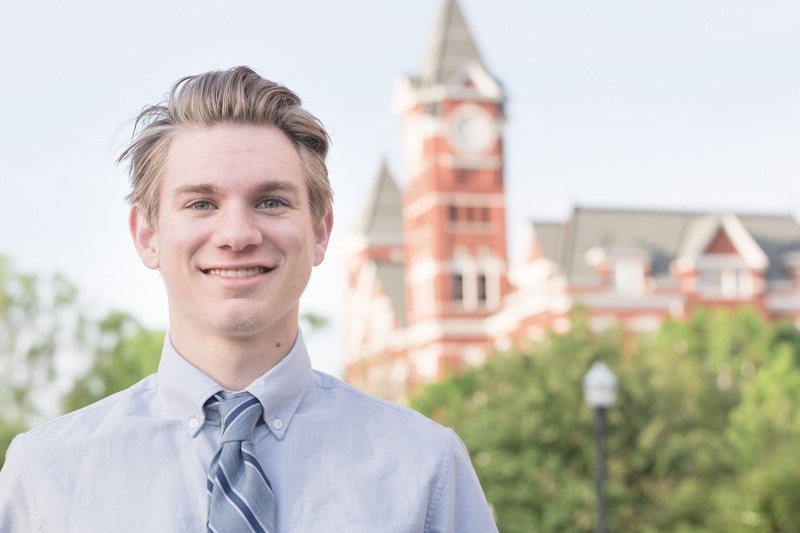 When I joined The Auburn Plainsman, I found my people and also a way to utilize my videography skills. 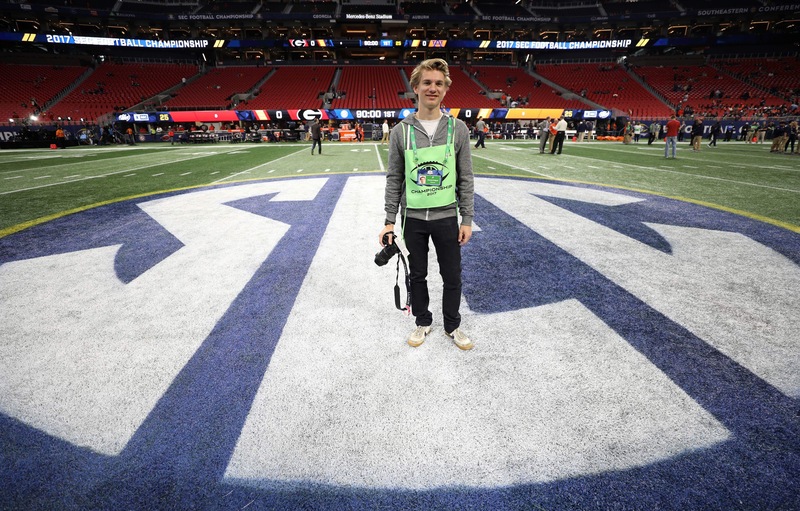 As the multimedia editor at The Plainsman, I got to go on the field and interview the players post-game. Beating two number one teams in my senior year and getting to experience both of them from the sidelines was definitely one of my favorite memories of my time at Auburn. Once Padgett called Birmingham home. Then Auburn, and now New York City. In the future, he could call a number of cities home. While Padgett loves New York, Mercer’s offices span the globe, and Padgett says he wouldn’t pass up the right opportunity if it presented itself. He’s visited 24 countries already; traveling comes by nature, and challenges are what drive him. Nevertheless, Padgett still has Auburn at heart, and he’ll never miss the chance to find some type of tree or two to roll after a Saturday win, no matter the city in which he resides.